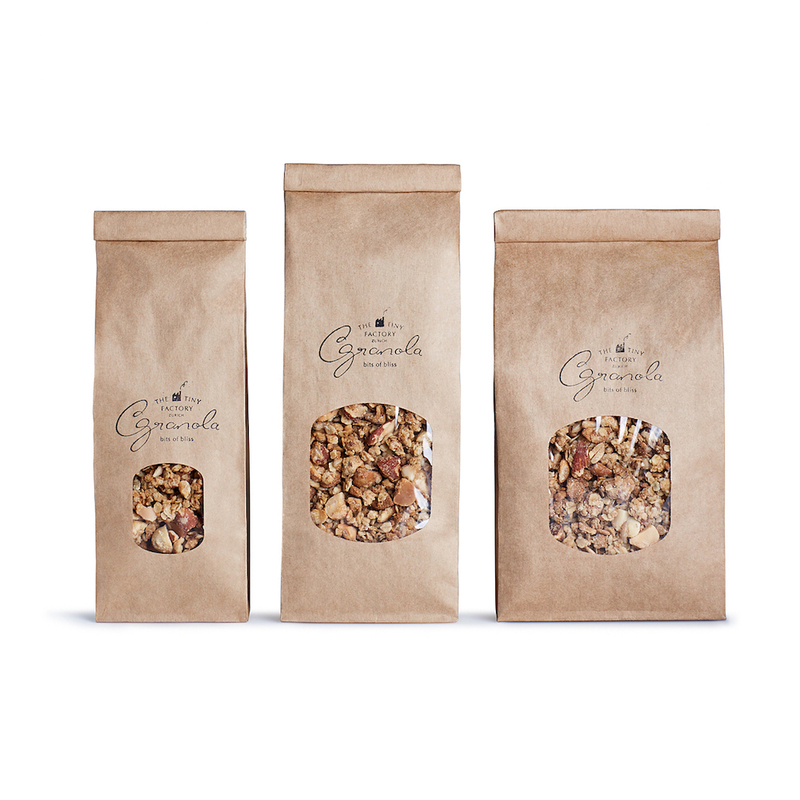 Perhaps the best granola in the world?! 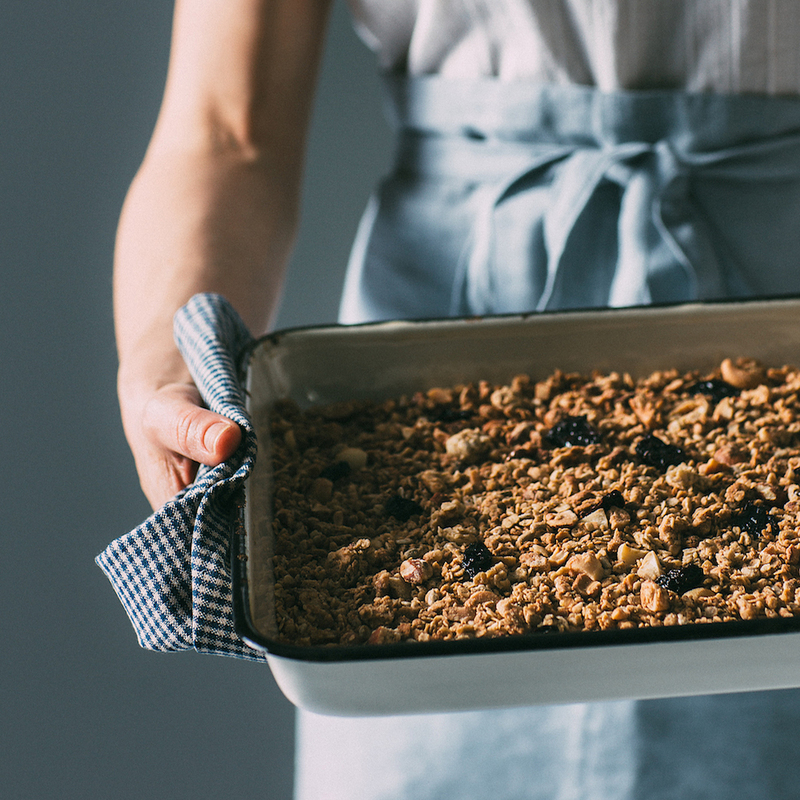 Once you know it, you won’t ever want to miss it, crunchy-muesli - or granola - are baked cereal flakes with honey or maple syrup and nuts. 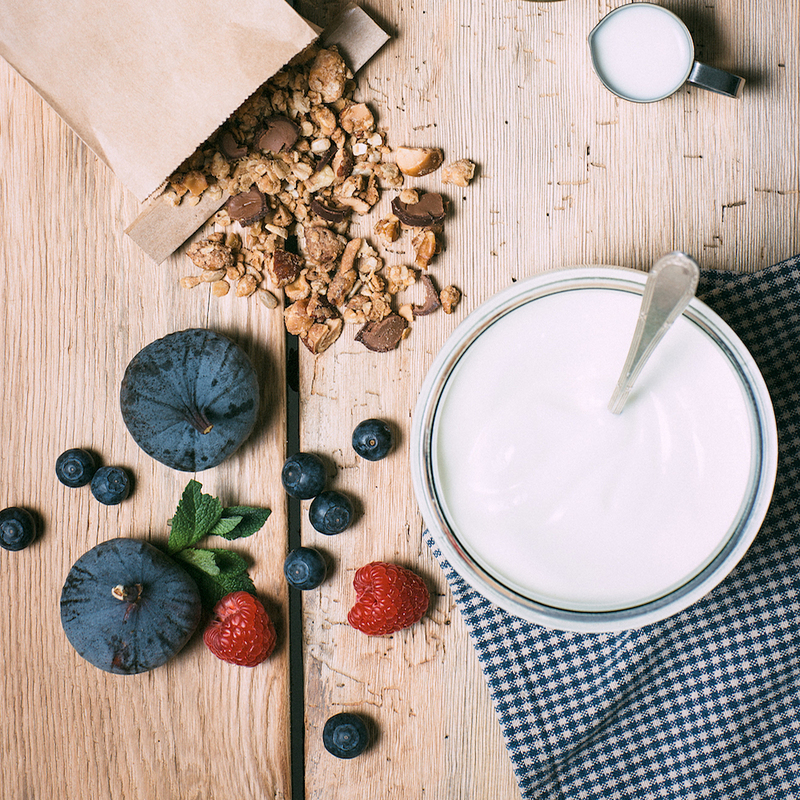 Mixed with yoghurt or milk and fresh berries, it has been one of the most favorite breakfast meals in America since the 80s. In recent years, however, it has experienced a true revival and is becoming increasingly popular here. 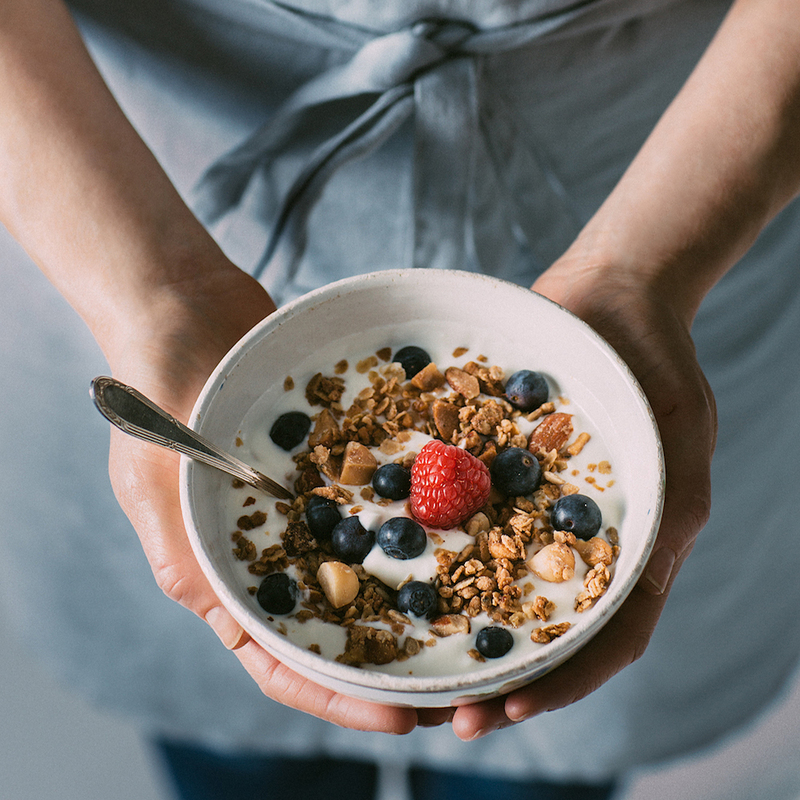 There are countless variations of granola, with chia seeds, hazelnuts, pecans, sunflower seeds, cranberries, goji berries, chocolate, everything the granola-loving heart desires. 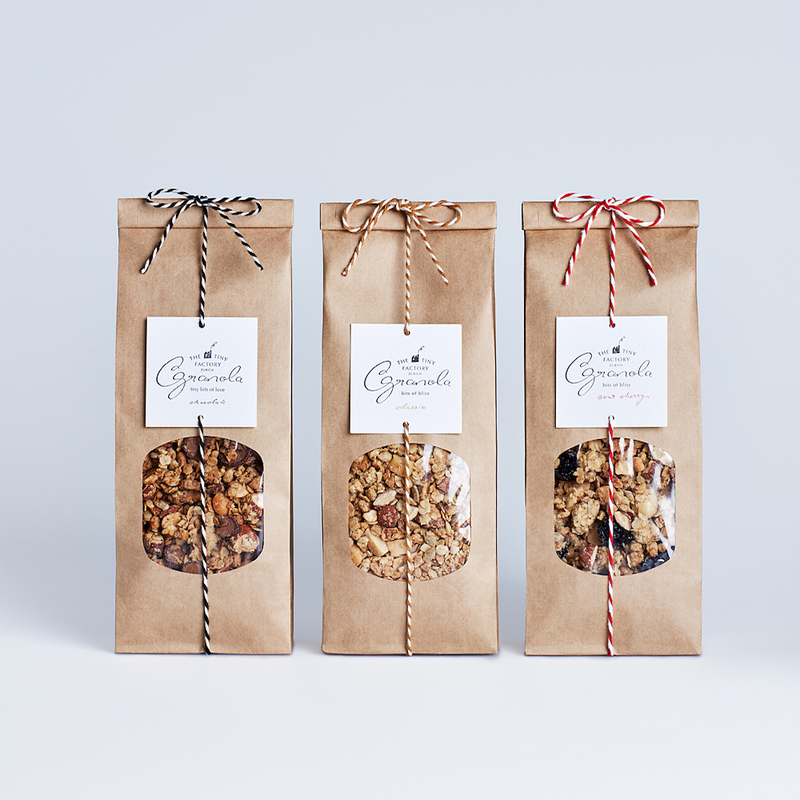 Since Granola is known in Switzerland, land of the Birchermüesli, but not yet ubiquitous, Sibylle Jenni has fulfilled a dream by opening The Tiny (Granola) Factory. 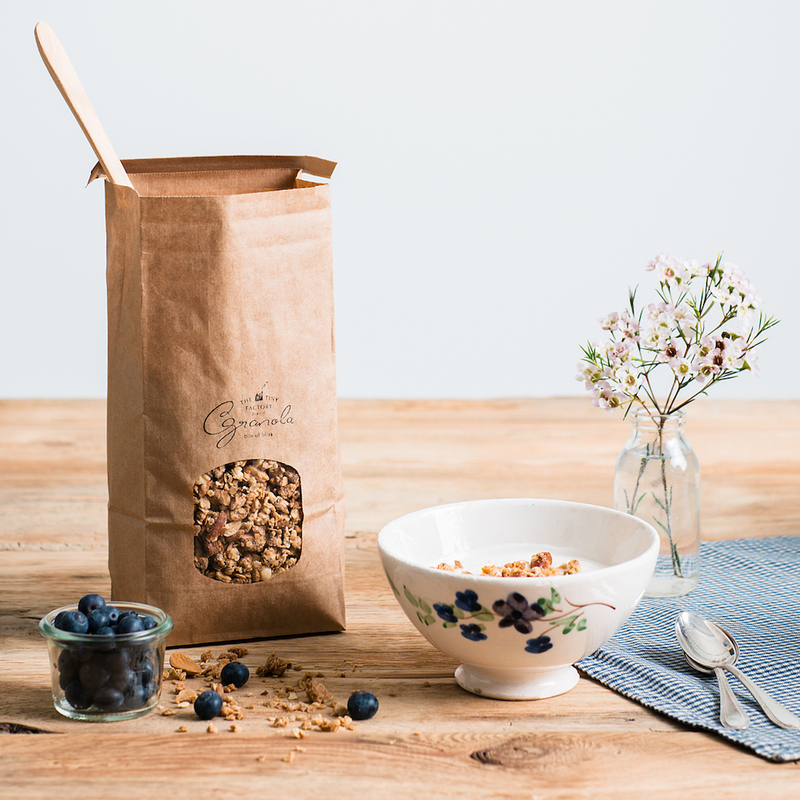 After a six-month stay in San Francisco, the versatile young entrepreneur had the idea of creating her own granola in Zurich. 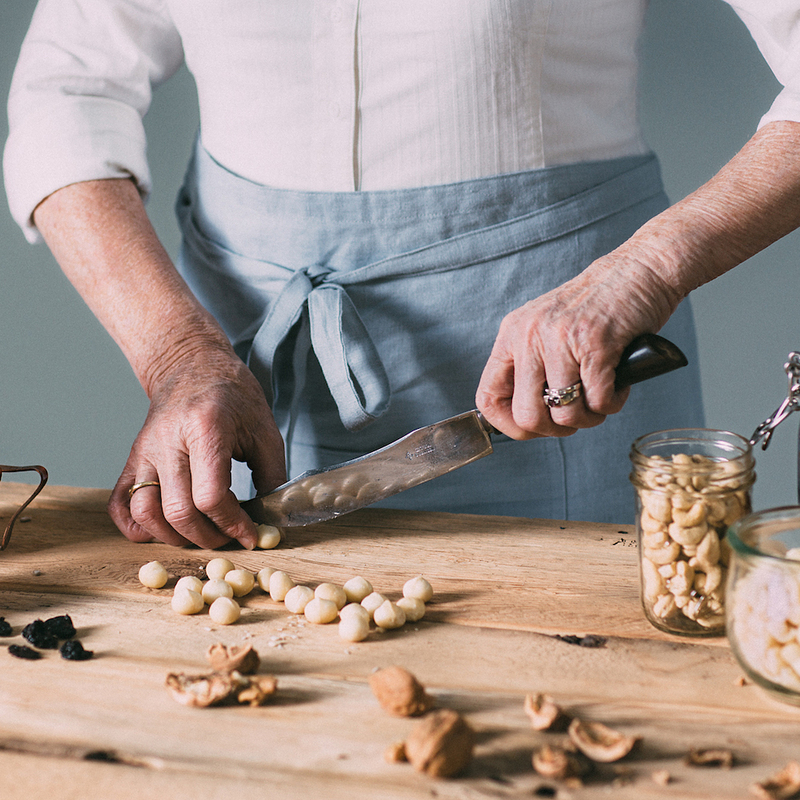 Working on the perfect recipe for a long time, it was important to Sibylle from the vey beginning to use only the best organic ingredients with a high nut percentage. And so did Organic Granola produced by The Tiny Factory come about. All raw materials of agricultural origin, biologically certified, only sweetened by maple syrup, superfood, and, with exception of the chocolate variety, vegan. 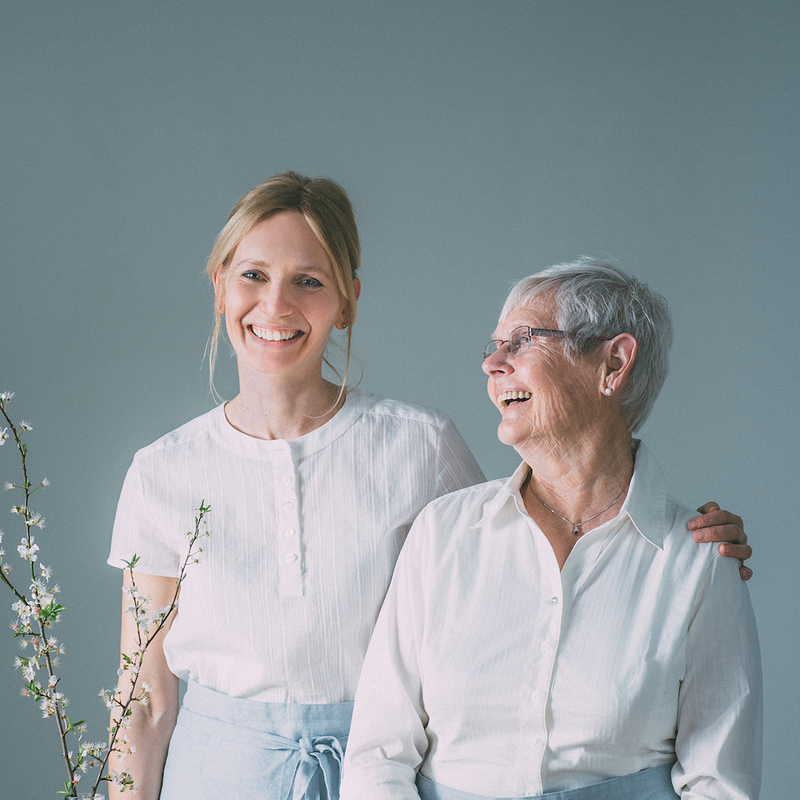 All handmade with the support of Sibylle's mother, who hardworkingly chops the best nuts, as well as many friends who take care of packaging, labeling, inscription, and shipping. 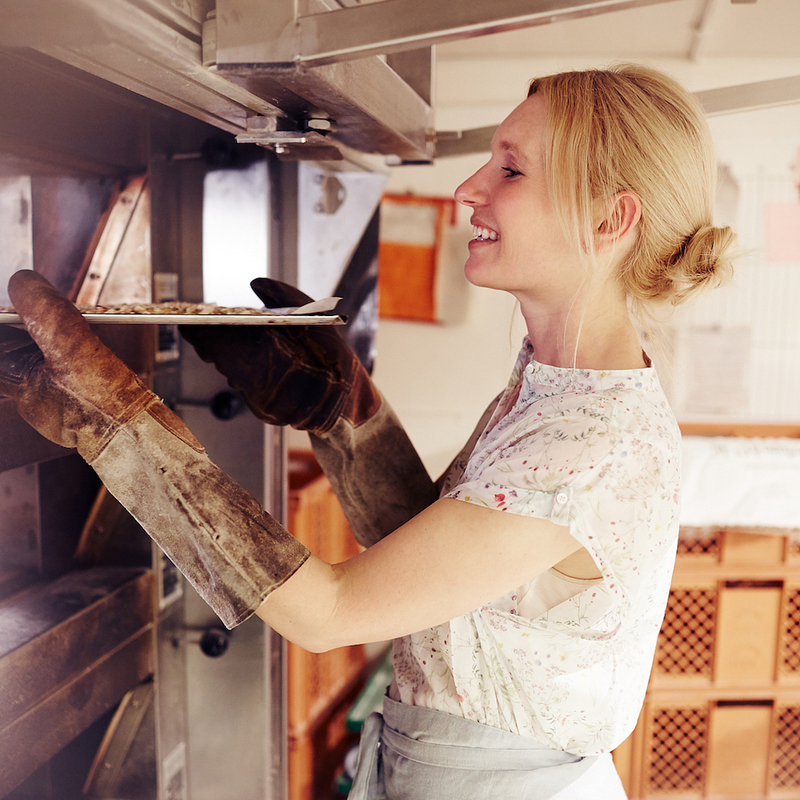 At the moment, the granola is baked at John Baker at the Stadelhofen in Zurich, where Sibylle has the possibility to use the professional oven for several hours a week. As a big Granola fan I had to sample Sibylle's Granola immediately. I was blown right away by both the attractive packaging and the quality of the granola! My favorite combo is classic with yoghurt and blueberries. The high nutrient content and the organic ingredients make every breakfast "gourmet"! There is no question here that someone with passion and heart is in the bakery and only satisfied with the best! 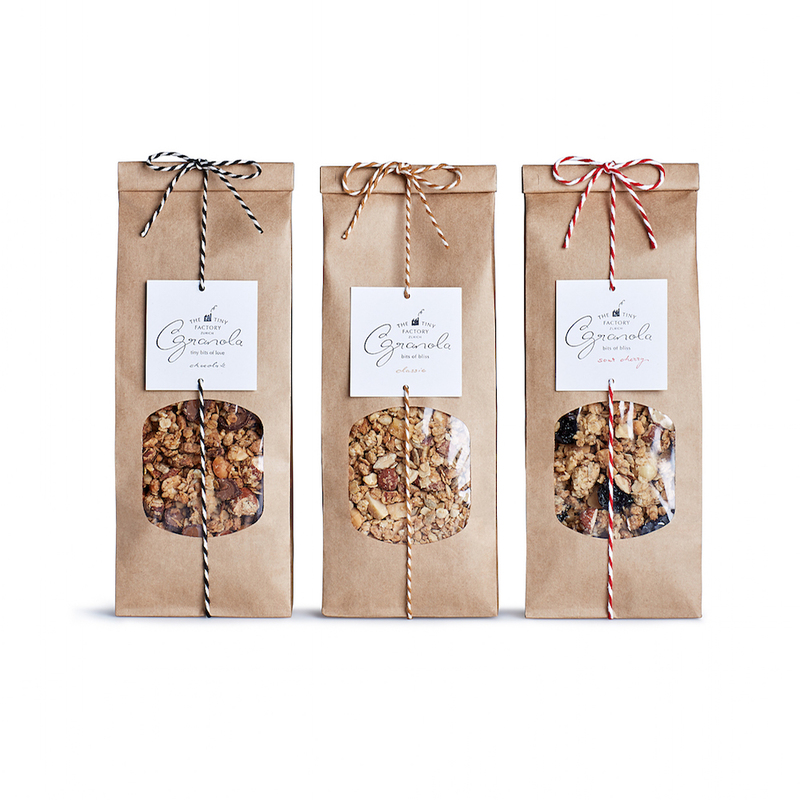 The Granola is currently available online at www.thetinyfactory.ch as well as at various retailers, including John Baker Zurich Stadelhofen, L'Ultimo Bacio Zurich, Winterthur, St.Gallen, and from the beginning of November in all Globus stores.